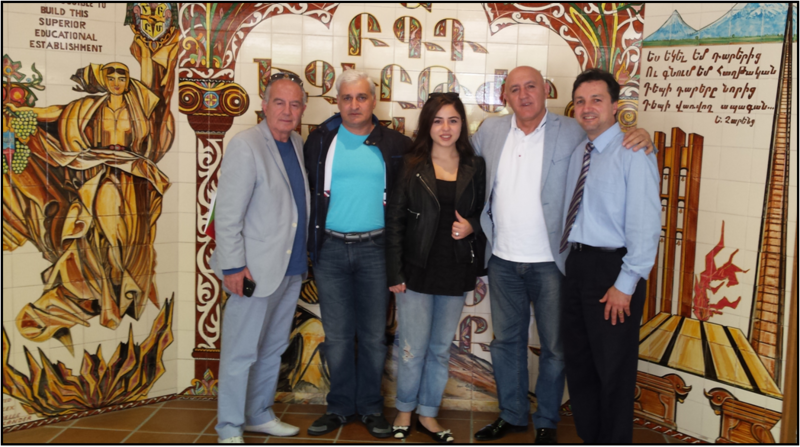 On Monday (17/11/14) we welcomed a group of visitors from Armenia headed by Hrachya Harutyunyan, Acting CEO of the Hayastan All-Armenian Fund. Accompanying him were renowned Armenian singers Masha Mnjoyan & Murad Markhasyan, joined by the Australian Representative of the Diaspora Minister Mr Edvart Tarpinian and other committee members. The guests were greeted and welcomed by our Captain after being led into the hall. 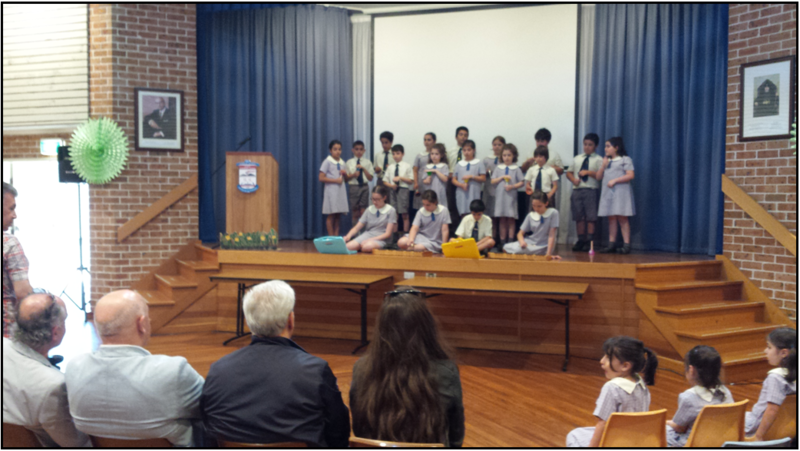 A special program was presented with songs, recitals and an instrumental. The guests were pleasantly surprised by the special presentation and impressed by the student performance. In his return address, Mr Harutyunyan praising the students and the school in keeping the Armenian language and culture alive in a community far away from the homeland. The warm feelings that were generated inspired our guest from Gumri, Murad Markhasyan to sing a few songs for the children. The students also joined in the singing and were entertained by this unique experience.